The Body of Christ is poised at the entrance of a volatile season of conflict in the clash of kingdoms, between darkness and THE OVERCOMING POWER OF THE LIGHT OF GOD emanating from the very Heart of the Son of God. It is an appointed time in History belonging to the Overcomers who have passed through grueling tests in God’s refining Fire, to stand as strong towers and enforcers of the Kingdom in a season of great shaking! These are ones who have learned the sublime principles and ways of Christ reflected in His obedience to the Father’s Will, His Love and Mercy for those bound by sin, humility of heart devoid of the need for recognition and praise, not given to offense, fear of man or intimidation, bold and courageous warriors of TRUTH. By surrendering their agendas and embracing the FEAR OF THE LORD, they have received wisdom! There is a pure and Holy River ALWAYS descending on the purposes of God in Christ! Agreement with darkness and disobedience to God’s Word invites dark clouds of oppression, blocking the Sun of an opened Heaven! The heavens are opened over the character and fullness of CHRIST, and are always opened over those who are submitted and united to the intentions of God…and His ways of accomplishing His purposes! “Most assuredly, I say to you, hereafter you shall see HEAVEN OPEN, and the angels of God ascending and descending upon the Son of Man” (John 1:48-51). THE DANCE OF MAHANAIM: The Angels are Coming! Come back, come back, O Shulammite; come back, come back, that we may gaze on you! Why would you gaze on the Shulammite as on the dance of Mahanaim? Song of Songs 6:13 Amp. The Hebrew word machanayim is defined as a dual encampment of troops, or soldiers. In the Song of Solomon, the women gaze at the Shulamite—a picture of the Bride. In her they see and prophesy of the awesome Glory of the two armies of God united in one purpose. The Dance of Mahanaim is the coming together of the Armies of God in Heaven and the Armies of God on Earth, MOVING IN UNISON—two armies with one purpose and Divine mission – to establish the Kingdom of God on earth! Jesus is the LORD of Armies! Angels are about to be released en masse to restore, to protect, to heal, to guard God’s purposes and to minister to the saints, however the Armies of Heaven are also sent to war, to defeat the enemies of God! In every battle fought in the Bible, the heavenly host was fighting alongside Israel! In this crucial hour of history it behooves the Church to pursue understanding of the dynamics of partnering with the Heavenly Host to get the job done! 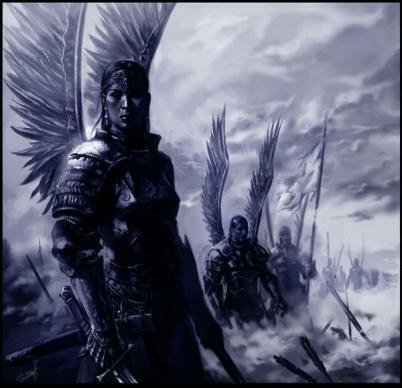 In war, angels are quickly dispatched in answer to the prayers of the saints, praying in the Will of God! Humility of heart and unity of purpose allows the Armies of Heaven and the armies of Earth to act in concert to defeat the enemy. The angelic ARMIES OF HEAVEN are now being released to work with the overcoming Triumphant Reserve who wear the covering of submission to the Will of the Father and the apostolic leadership God has safely secured them to! As the Bride learns to warfare in holiness, Heaven is mobilized to fulfill her prayers! When Daniel stumbled upon Jeremiah’s prophecy, he realized that the FULLNESS OF TIME HAD ARRIVED for the prophetic Word to be fulfilled and DANIEL BEGINS TO PRAY! Because of Daniel’s humility of heart, his prayer was clothed in the power of God, and anointed with the authority to open a prison door that had been shut for seventy years! In chapter ten, we see the heavenly response because of Daniel’s prayers, “Do not fear, Daniel, for from the first day that you set your heart to understand, and TO HUMBLE YOURSELF before your God, YOUR WORDS WERE HEARD; and I have come because of your words” (Daniel 10:12). As the Overcoming Bride readies herself to march across the nations in holiness, and purity of heart, the heavenly host is mobilized and stands at attention as they wait for the Dance of Mahanaim to begin. In the same manner that THE CAPTAIN AND THE HEAVENLY HOST joined with the armies of Israel in the battle for the Promised Land, they will continue to be there for every battle fought WITHIN THE WILL OF GOD! A guarantee that victory is certain! Each major milestone in the construction of God’s Temple, (represented by each feast), was accompanied by great signs and wonders. At the time that the Foundation stone was laid at the Passover and the Cornerstone at Pentecost, THERE WAS A GREAT INVASION OF THE ANGELIC HOSTS to undergird the work! The completion of God’s work in the fullness of times surrounding the Feast of Tabernacles—the setting in of the Headstone and the release of the ‘SONS OF GOD—will also come with A GREAT INVASION OF EARTH BY THE ANGELIC HOSTS. This will be accompanied by great signs in the heavens and earth in an explosion of God’s power into the earth, as never seen before in history, “As in the days when you came out of Egypt, I WILL SHOW THEM MY WONDERS. Nations will see and be ashamed, deprived of all their power…They will come trembling out of their dens; they will turn in fear to the LORD our God and will be afraid of you” (Micah 7:15-17). As we move forward on this great journey with God, and approach the crucial hour of completion by a way we have not walked before, it is wisdom to walk carefully and to gain understanding from past moves of the Holy Spirit in God’s unfolding plan. The move of the Holy Spirit in 1994, known as the Toronto Blessing I believe is a key to understanding of the present times. God suddenly showed up in Canada in 1994 in one of the most powerful moves of the Holy Spirit, a move that has touched millions of lives globally…the question that arises is, was this a random act of mercy, or was it unto something much greater in God’s end-time campaign? At the height of the renewal, I was there at every opportunity, sometimes three of four times per week (except for Mondays, there were meeting every night for twelve years). Prominent in my memory is the line of continual testimonies, night after night from pastors and leaders of every nation and denomination who came dry, thirsty, burnt out and ready to give up the ministry! God came and met these men and women in extraordinary and powerful ways unique to each one! Since 1994, I have also heard thousands of testimonies of pastors, leaders, ministries and individuals who, having been mightily touched by God in Toronto, went on to birth the awesome and wonderful dreams of God that have greatly impacted the Church and the world! 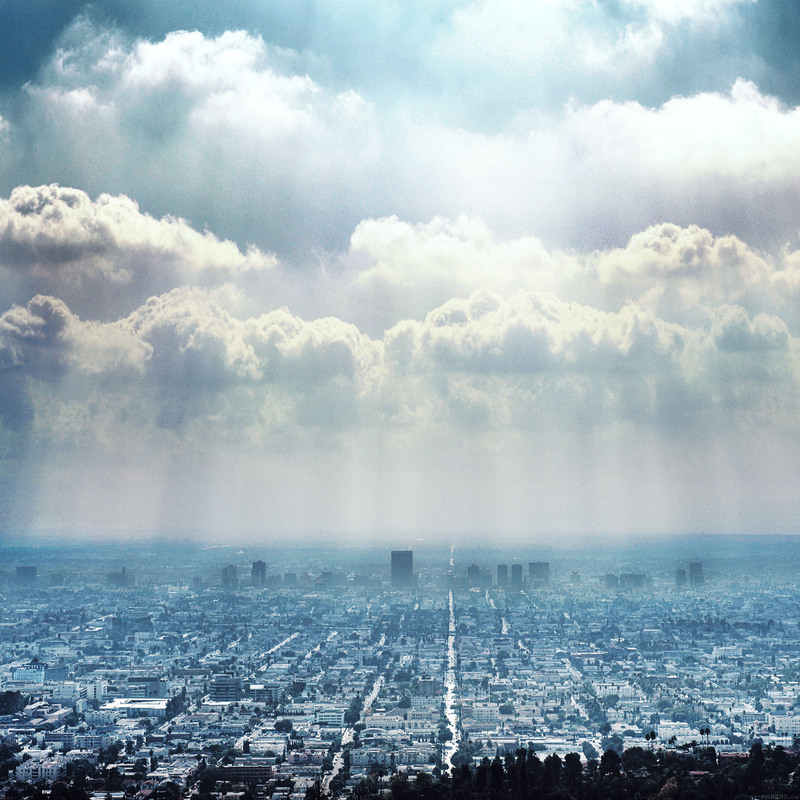 At the height of the revival the lord gave me a sneak peek into a Heavenly view of Toronto. In the vision I saw the Father and a great host looking over a ledge from Heaven into Catch The Fire church. They were all intently watching and observing how the people were partaking or drinking of the River of God that was being poured out. Heaven was looking for those who were wholehearted, those who would choose God’s ways of honor, submission, obedience to the Word, kindness, love, preferring one another and perseverance. As in the story of Gideon, in Toronto, God had gathered an army to His Well to observe their hearts by the manner in which they drank! The name of the well where Gideon gathered his men, is in Hebrew, êyn chărôd, meaning EYE, OR FOUNTAIN OF TREMBLING. God gathered an army at the Well, on Atwell Drive in Toronto, strategically positioned by the Airport, for the nation’s armies to come and GATHER UNDER HIS WATCHFUL EYE…He was looking for and choosing A TRIUMPHANT VANGUARD for His end-time army! These were men and women like Daniel and Gideon that He could work with to complete His Awesome works in the last days and to train-up the next generation of leaders! During the early part of the revival I also had a very significant dream related to this move of the Spirit. In the dream I saw myself dressed as a glorious bride in white; the train of the gown went on for miles. Within the train there were flowers and gardens of every kind representing the beauty of diversity in the Bride of Christ. I was then taken to have my hair styled, my hair was long and very curly. To my surprise John Arnott, the founder of CTF was the Hairdresser, He used a cream straightener and combed it through my hair over and over, very patiently straightening out the curls until my hair was dead straight. He then proceeded to cut my hair quite short to around the middle of my neck…and the dream ended. 2015 will complete 21 years and begin the 22nd year since the Holy Spirit landed at the little church by the Airport. 2 and 22 have always been very special numbers for me—2 means THE MATTER IS DETERMINED BY GOD, and 22 represents the fullness of authority given to David and to Christ and His people as declared in Isaiah 22:22. I believe God has attained to His heart’s desire—over these years He has been diligently at work in a people and has brought an overcoming people through the fire prepared to march in His authority across the nations of the earth in triumph TO ACCOMPLISH HIS WILL! A great and mighty wave poured in on the day of Pentecost, this wave began to ebb slowly over history. This wave is now a tidal wave, gathering out at sea in power, preparing to flood the earth. The wave that is coming will surpass what began at Pentecost and break open the doors for the LAST GREAT HARVEST to enter the Kingdom of God, ‘For the earth will be filled with the knowledge of the glory of the lord as the waters cover the sea” (Habakkuk 2:14). Like Daniel who was raised up to pray a shift in History, we are called to pray in the last shift! Our commission now is and always has been the same as John the Baptist and Elijah—to prepare the way for the coming of the King in Glory. Turn beautiful Bride of Christ…turn that we may gaze in wonder at your beauty and splendor LET THE DANCE OF MAHANAIM BEGIN! Awesome! I am sharing this concept as revelation tonite in St Pete Florida…thank you for writing the heart of God for these days. My wife and I visited the Toronto blessing in 1996 and the Horseshoe falls..then Brownsville for 5 years…we are releasing a healing pool today..God bless you!